There is much information about how lack of exercise affects physical fitness of senior citizens. To counter these negative effects, various senior fitness programs are offered in Canton, MA to provide a perfect place where older adults can safely exercise in order to live more active and healthier lives. The seniors fitness program in Canton, MA is specially designed for older adults and takes into consideration the specific needs and limitations. The exercise routines are guaranteed safe, effective, and fun which is important in order for seniors to stay motivated and enjoy exercising while reaping health and fitness benefits. In a senior fitness program, older adults will exercise with a certified personal trainer who is educated the health and wellness of seniors. In joining a senior fitness program, the trainer will teach the proper way to perform aerobics, muscle conditioning, stretching, and other types of exercises while correcting form and movement to prevent pain or injury. 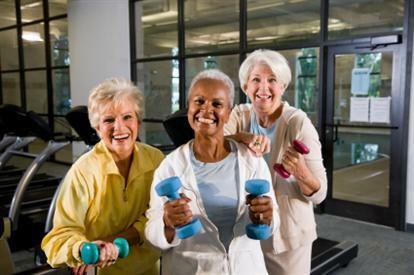 To find out more about the senior fitness programs in Massachusetts, contact Answer is Fitness.